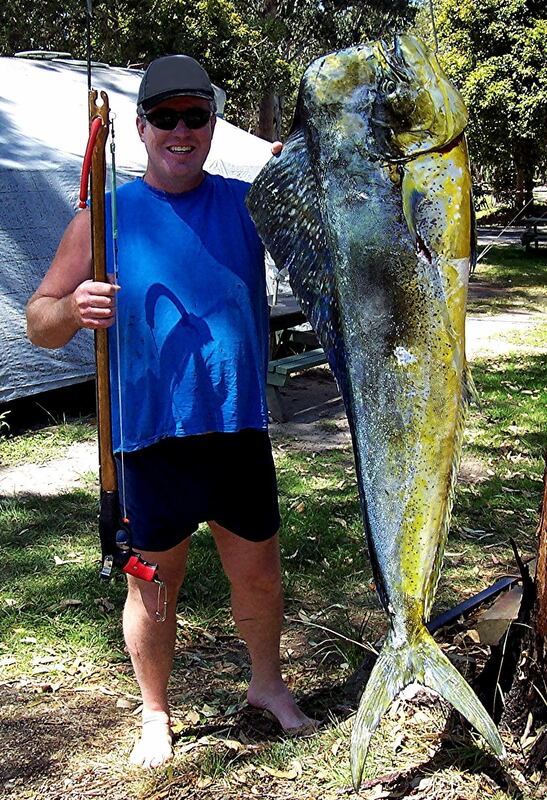 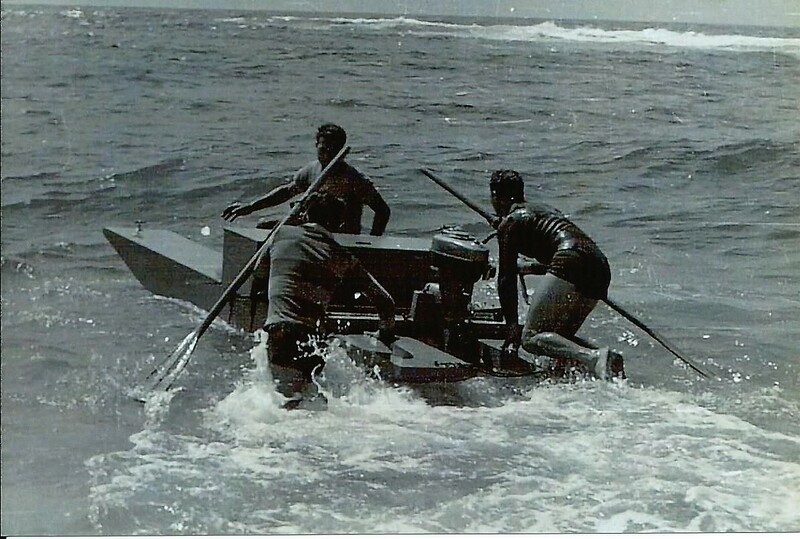 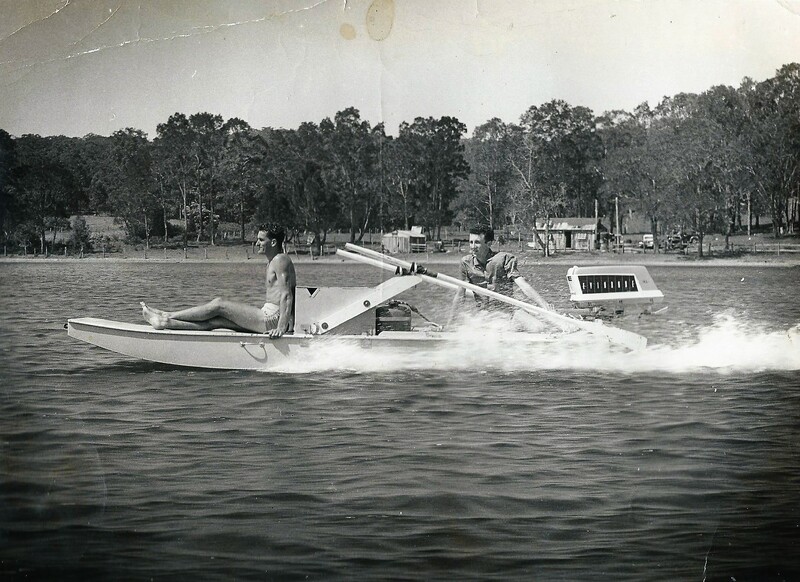 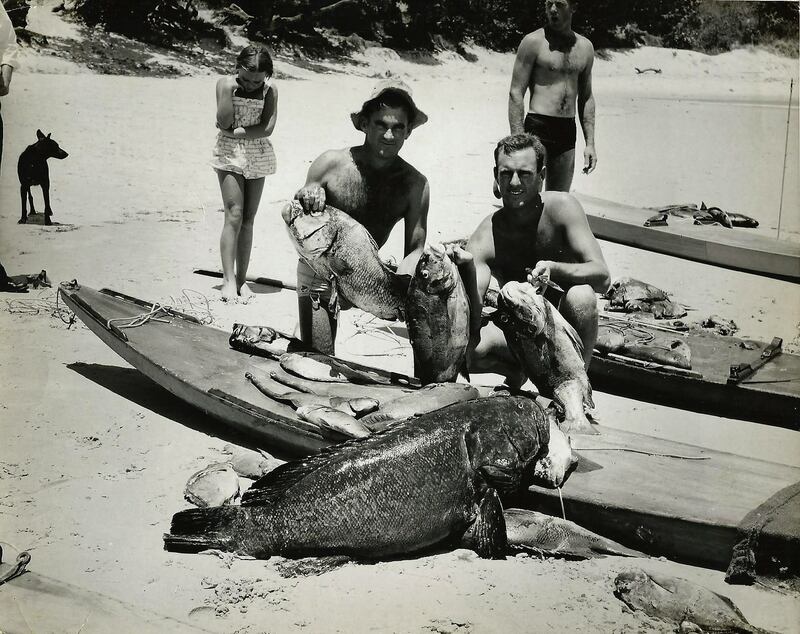 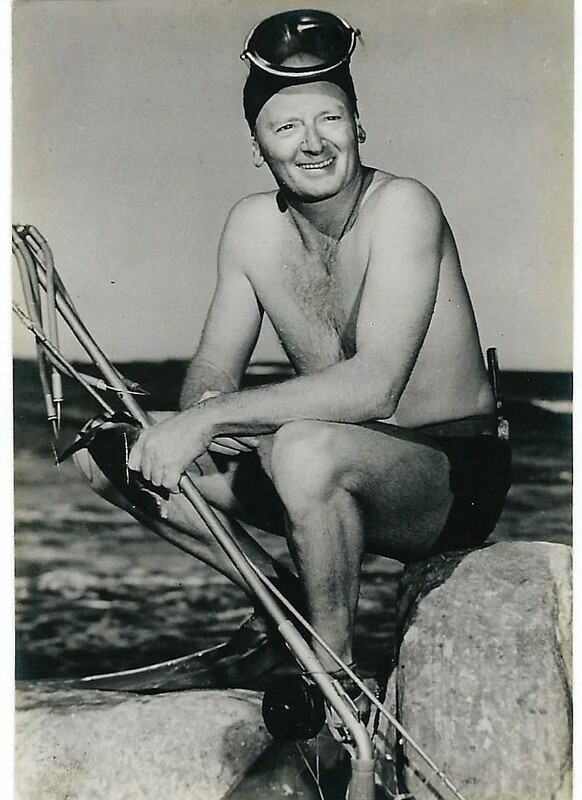 Famous Australian cartoonist Eric Jolliffe loved spearfishing and was an early USFA member. 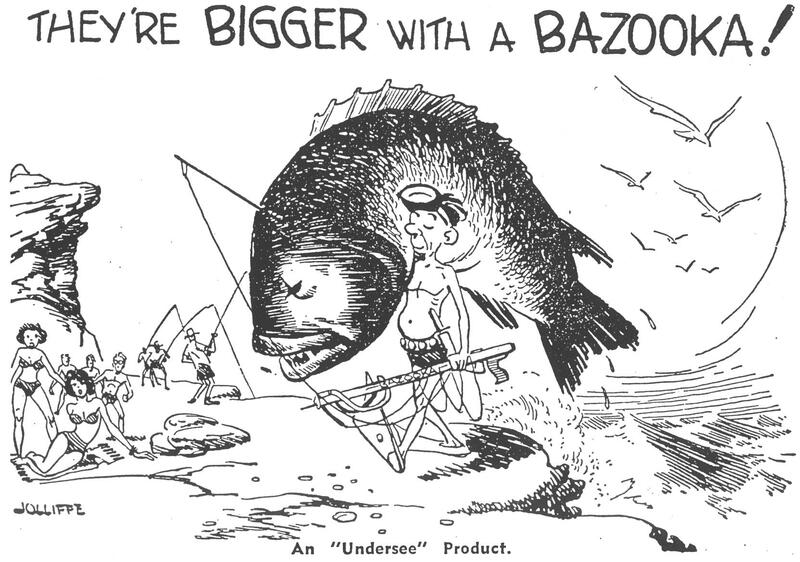 His spearfishing cartoons are absolute classics. 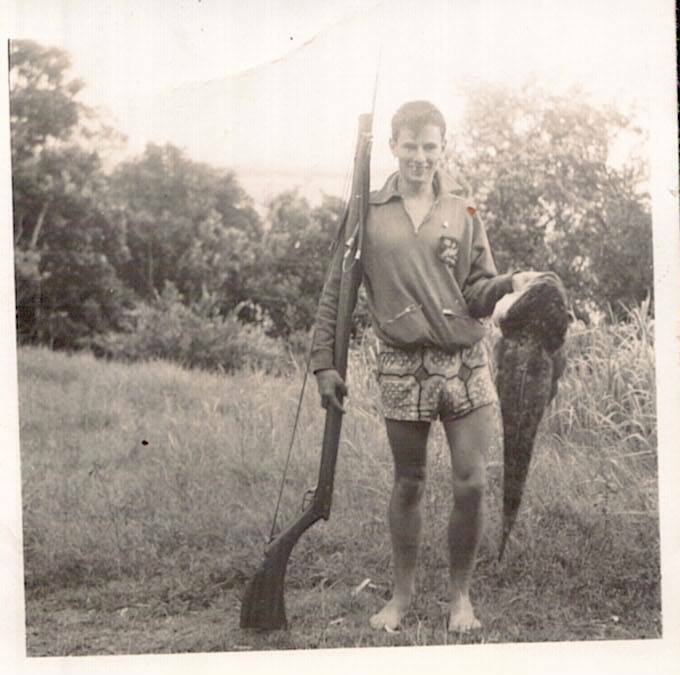 Eric is holding an Undersee Super Sabre speargun. 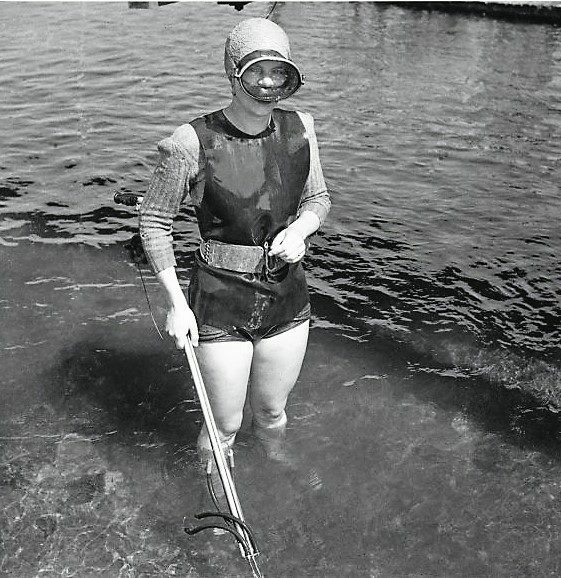 1951 vintage. 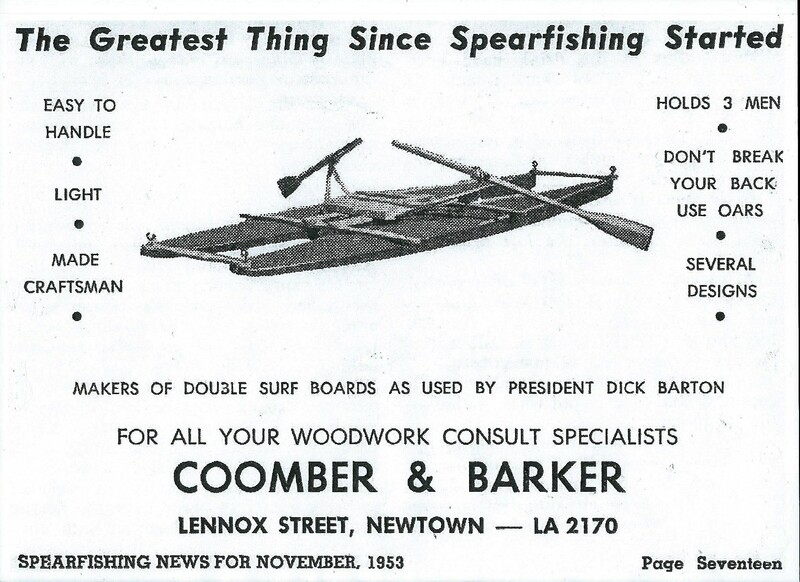 The Super Sabre differed from the Sabre by having 2 rubbers.